Search Results for "brazilian beach"
Aerial view Green sea at brazilian beach coast on sunny day in Moreira's beach, Bahia, Brazil. February, 2017. RIO DE JANEIRO, BRAZIL - FEBRUARY 28, 2016: Customer buys steamed corn from a Brazilian beach vendor on Ipanema Beach. Bags of trash laying on the floor in a Brazilian beach. Pollution and bad recycling is the biggest enemy of Brazil's sustainability. 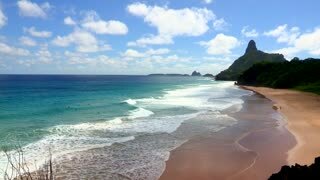 Aerial view on Brazilian beach - Panoramic late afternoon. Aerial view on Brazilian beach - against light. Aerial view green sea at brazilian beach coast on sunny day. Cumuruxatiba city, Bahia, Brazil. February, 2017.